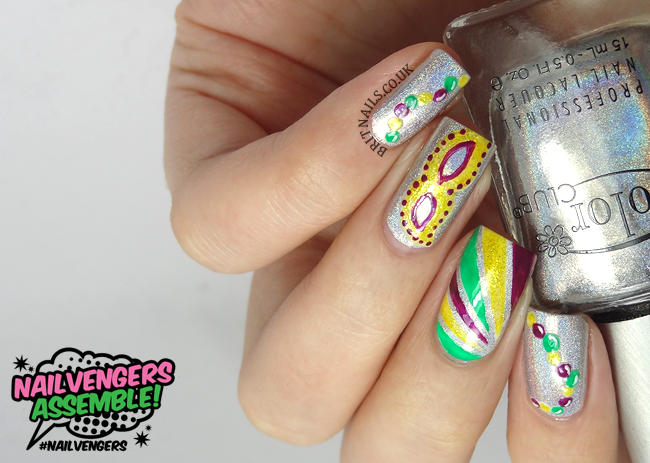 Welcome to the second installment of Nailvengers Assemble! 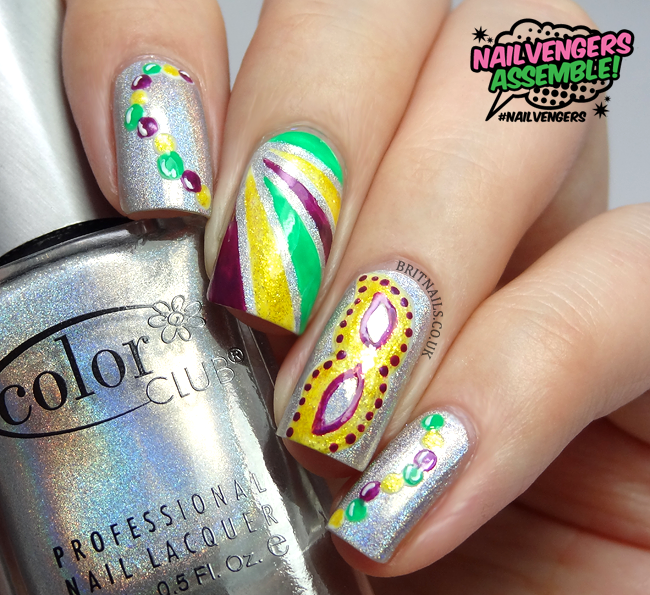 This month, our theme is Mardi Gras. Mardi Gras is a carnival celebration and this year it falls on March 4th. Aesthetically it's all about colour, costumes, masks, feathers, beads etc, so that's what I've gone for here! 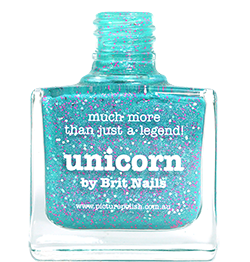 Don't forget to check out my fellow Nailvengers - Lucy's Stash, One Nail To Rule Them All, xameliax and The Nailasaurus. 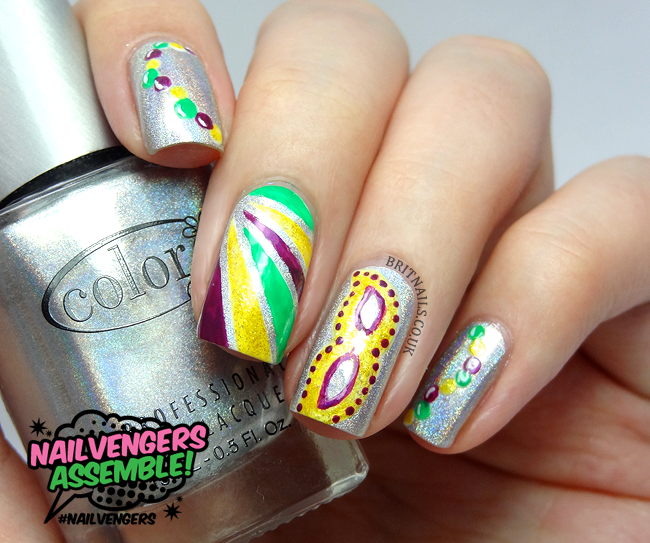 If you create a manicure inspired by any of us use #nailvengers on Twitter so we can see! My base colour is Color Club Harp On It, a silver holo. 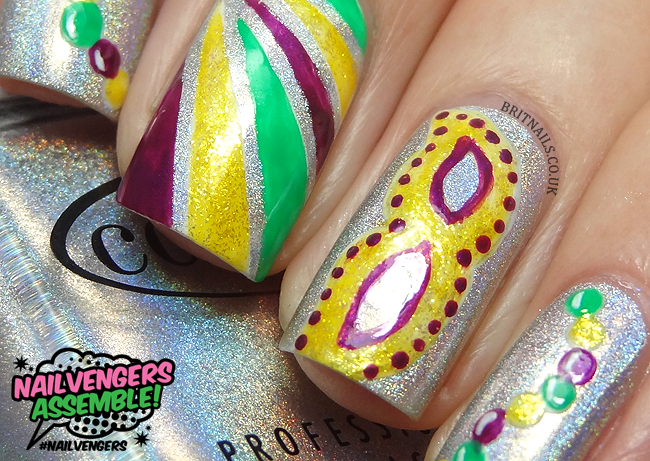 I used a dotting tool for the beads, striping tape for my middle finger, and I freehanded the mask. It's been so long since I've done any freehand! Your mani is fabulous. It's festive but light. Like the silvery base. And your mask makes me smile, it's so pretty.